As you have read in my past posts I love finding products that have more than just one use. I have another one of those to tell you about. 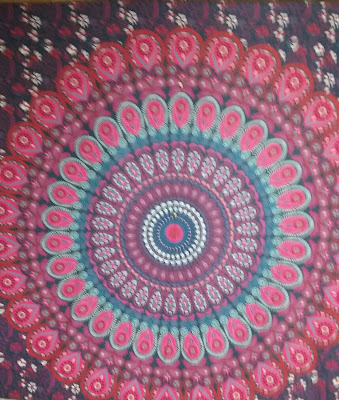 HomeFairy Purple Peacock Mandala Tapestry Wall Hanging. 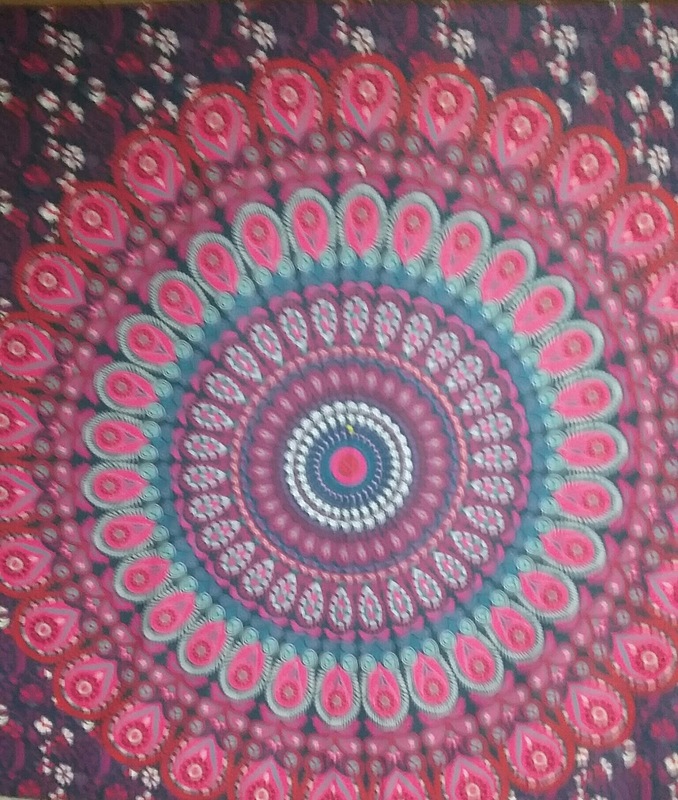 This is a beautiful BoHo print, it comes in 3 different colors and prints. 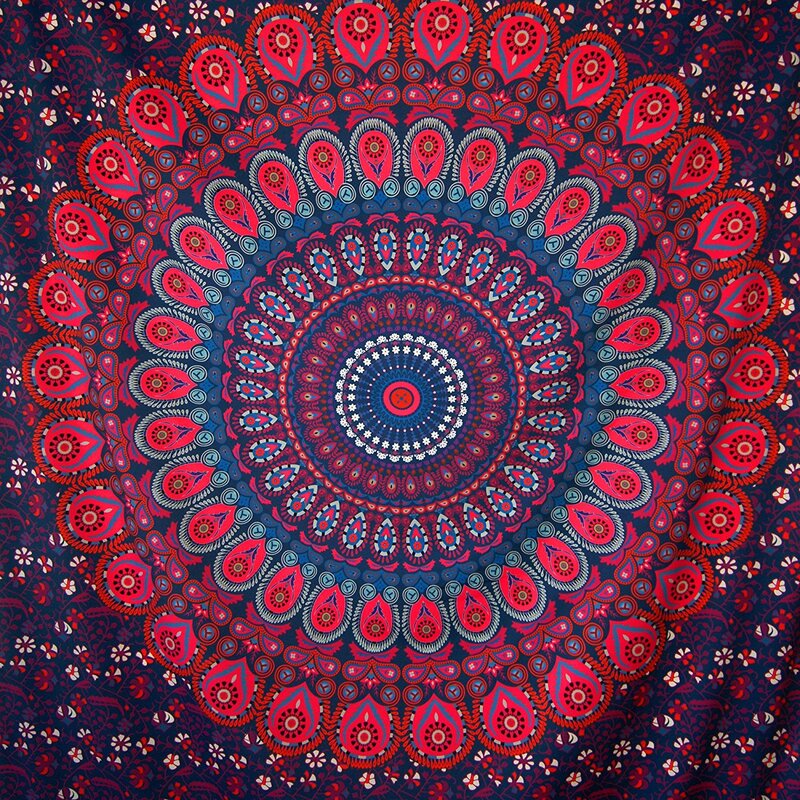 It is a nice large size, 80" x 60", so it makes a big statement as a wall hanging or it can be used as a blanket or bed cover as well as a beach blanket or a tablecloth. It's machine washable, so it's easy to clean and care for. This wall hanging makes a traditional backdrop for spiritual healing. Open your chakrahs when practicing yoga in front of or on top of this tapestry. It also makes a nice dorm room decoration or room divider. It can be used horizontally or vertically. In my case, I decided to hang it in my son's room to cover a few damaged spots in his bedroom wall that i was tired of looking at and haven't had the time to fix yet. It worked perfectly. Now instead of looking at a hole and a couple of dents in his drywall all I can see is this beautiful tapestry. He really likes it too, he said it reminds him of a big bandana. I was afraid he would think it was a little feminine for his room but he really likes it as much as I do.